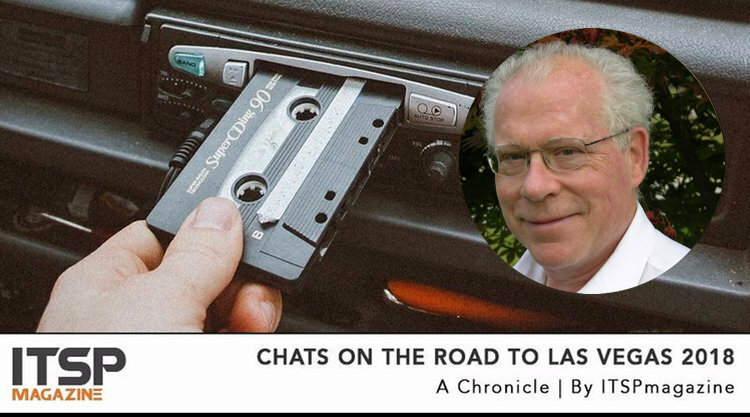 This podcast episode is part of our Las Vegas cybersecurity event coverage called “Chats on the Road to Las Vegas”, which is part of our Las Vegas 2018 Conference coverage. Our team will be hitting the road, so to speak, to connect with a number of the conference speakers, presenters and panelists to get a sneak peek into what they have planned at these conferences, which include Black Hat, DEF CON, Bsides and Hacking Diversity. Two years ago Richard gave a talk at DEF CON called “Playing Through the Pain: The Impact of Dark Knowledge on Security and Intelligence Professionals”. As he says, “it’s not about leaving the profession: it’s about what we can do to thrive and transcend the challenges. It‘s about ‘saving this space,’ this play space of hacking, work and life, and knowing the cost of being fully human while encountering dehumanizing impacts.” And this year’s talk is a follow-up to that, so he’ll be elaborating on those strategies. During our chat, Richard gives us a great sneak peek (or rather, a sneak stare) at what to expect from his highly anticipated DEF CON talk this year. "The Road to Resilience" defines strategies for managing the “consequences of the profession” and the challenges of cybersecurity and how to thrive, not just survive. As he says, a lot of venues do not want a talk about "moral harms" – the denuding of the core self as a result of constrained behavior at odds with one's core self and ethos – as it suggests that they are not taking care of their people. Well, they're not. He also chats about why he, a white male, was asked to adapt “The Road to Resilience” for the Executive Women's Forum and include strategies for women in particular on dealing with unique challenges. How does he convert his talk from hacking to women? Here's a clue: one of the best compliments he received was from a woman who told him, after hearing him speak, "You remind me of a lesbian in a man's body." So without further ado, let’s take a listen – and we'll see you in Vegas! Richard Thieme is an author/professional speaker who addresses challenges posed by new technologies, how to redesign ourselves to meet these challenges, and creativity in response to radical change. He addresses “the human in the machine,” technology-related security and intelligence issues as they come home to our humanity. He has given hundreds of speeches around the world for conferences, corporations, universities, and security and intelligence venues. He will speak in 2018 at Def Con for the 23rd year. His clients include GE, Microsoft, Medtronic, and Johnson Controls and the NSA, FBI, US Dept of the Treasury. Los Alamos Lab, the Pentagon, and the US Secret Service. He has published hundreds of articles, dozens of stories, and five books. When a friend at NSA said, "The only way you can tell the truth is through fiction," he returned to writing short stories, nineteen of which are collected in "Mind Games, and produced a novel, “FOAM.” He is a co-author of the critically extolled “UFOs and Government: A Historical Inquiry,” and a contributor to and associate editor of a sequel, “The UFO Phenomenon,” due this year. Find him on LinkedIn and Twitter. Older PostThe California Consumer Privacy Act: A Mini GDPR?